Chef Trevor Smith grew up in the mountain valleys of Georgia, where he cultivated his love of cooking and fresh local ingredients early on. He spent his childhood foraging for muscadines and scuppernongs with his mother, as well as fishing for bass and trout alongside his father on the Soque River. He learned to cook helping Mama Sharon in the kitchen, and spent summers on the family farm in Saluda, SC, where he helped his grandparents tend to the cows and the family garden. 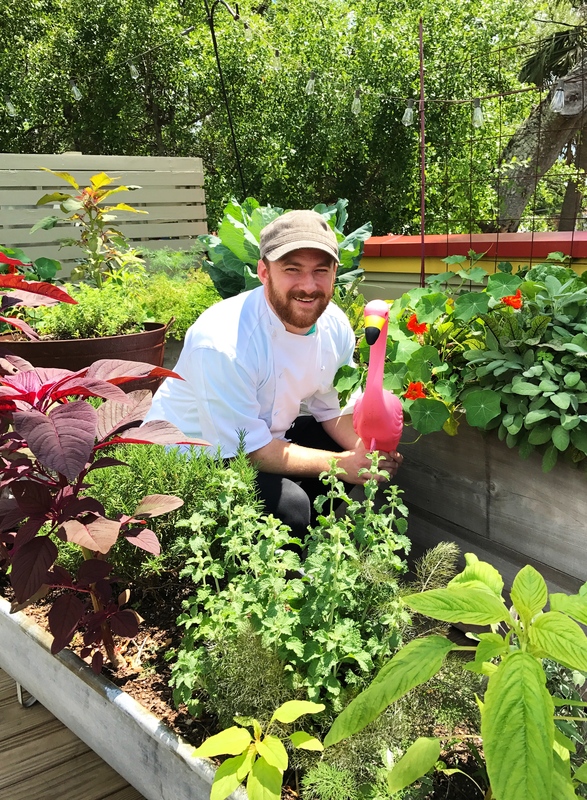 Chef Trevor has built an extensive resume of working in some of the best restaurants in the lowcountry, including Rutledge Cab Co. and Hominy Grill, as well as holding sous chef positions at Coleman Public House and The Grand Bohemian Hotel. When not at the Cabin, he can be found cooking for his wife Rose Beth, whom he adores to the end of the universe and back. He gets great joy in having Tedtalk-esque conversations with their cat, Emerald. Fishing on Sullivan’s Island is his outdoor man cave. In his actual man cave, he enjoys playing the video games and reading Star Wars fan fiction.